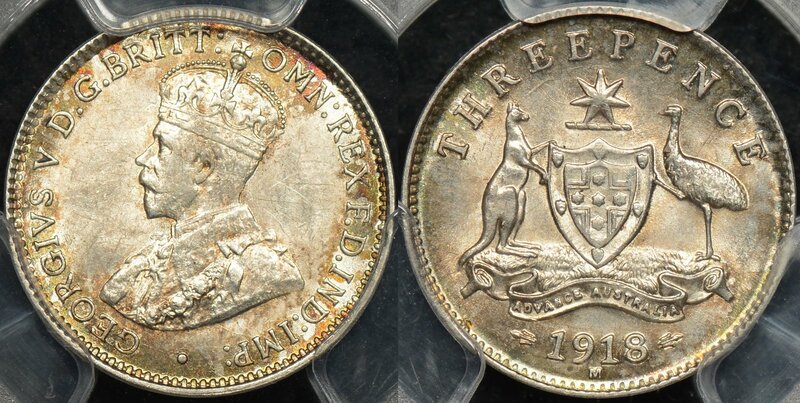 Today we’re looking at 5 rare Australian coins that are worth money, enough money that you’d better be looking at your pocket change or you could actually be letting hundreds of dollars slip through your fingers. Of course these aren’t the ONLY coins you can find in your change that are worth real money, but they are those that you’ve got some chance of actually finding. So how much money are we talking about here? Well, anywhere from 30 times face value to 40,000 times face value. Surely that’s more than enough incentive for anyone to take a look at the coins that pass through their hands! Number 1 on our list of Australian Coins that are worth real money is the Double Header 2007 5 Cent. They are the product of a mint worker deliberately pairing two 2007 heads (obverse) dies and then running the press to mint several hundred or possibly even several thousand coins. Worth $1500+ it’s worth anyone’s time to look at all 2007 dated 5 cent coins and spin them between your fingers and see if they’ve got two heads showing and if those Queen’s heads are rotated 180 degrees. If so, get yourself off to a good coin dealer and get that bad boy authenticated! Read this article to learn more about the 2007 double header 5 cent. The Year 2000 $1/10c Mule is the number 2 on our list of Australian Coins that are worth money. The result of an accidental pairing of a 10 cent heads (obverse) die and the normal mob of roos reverse die it’s thought that between 5000-10000 of these coins were minted. Worth from $300-$500 even after circulating for 20 years it’s time well spent looking out for them! The Wavy Baseline 20 cent dated 1966 is quite obvious from the wavy baseline on the number 2 on the tails side of the coin. Of course not all 1966 20 cent coins exhibit this feature but the very small fraction that do are worth $250 or more even. That’s even if they have spent more than 50 years circulating since decimal currency was released in 1966! To determine if your 1966 20 cent is a valuable wavy baseline example take a look at our feature article on the coin. Some time during the production run of 2010 50 cent coins a coin press operator installed the obverse or reverse die incorrectly. 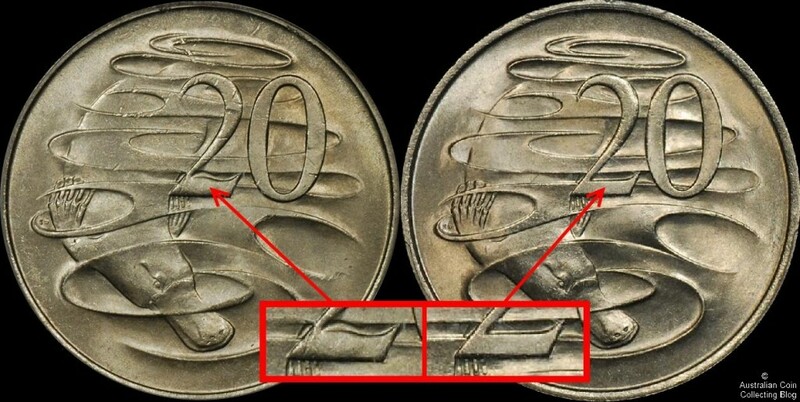 As a result the obverse (heads) side of some coins is rotated 30 degrees from the reverse (tails) side of the coin. It’s thought that perhaps 200,000 of these coins were manufactured and each is worth $50 or more. 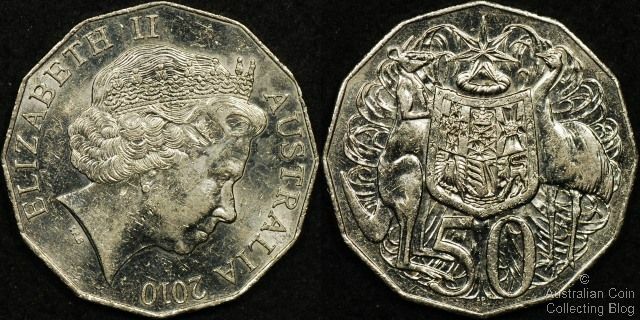 Read our article featuring the upset 50 cent coin for more information about this interesting and valuable Australian coins. The year 2000 Millennium 50 cent was released with a fairly difficult to spot die variety. Our article on the variety describes in some detail how to spot the die variety which is called the “Incuse Flag Millenium 50 cent”. Basically the Cross of St. Andrew (the cross with a horizontal and vertical bar) on the Union Jack is incuse or sunk into the coin rather than in relief (sticking out of the surface of the coin) for the normal version of the coin. Worth $50 even circulated the incuse flag 50 cent of the year 2000 is the last of our Australian coins that are worth money. If you’re looking for more information about valuable Australian coins take a look at our article on the top 10 rare Australian Decimal Coins! 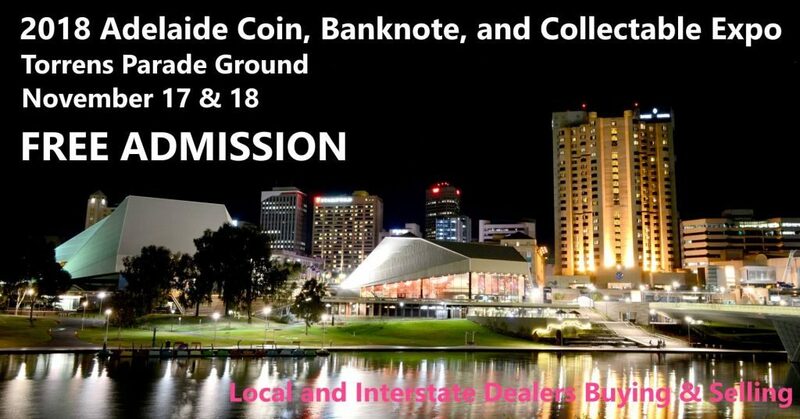 When is the Adelaide Coin Show this year you ask with excitement? Well make sure you’re free on November 17th and 18th because free is the word. 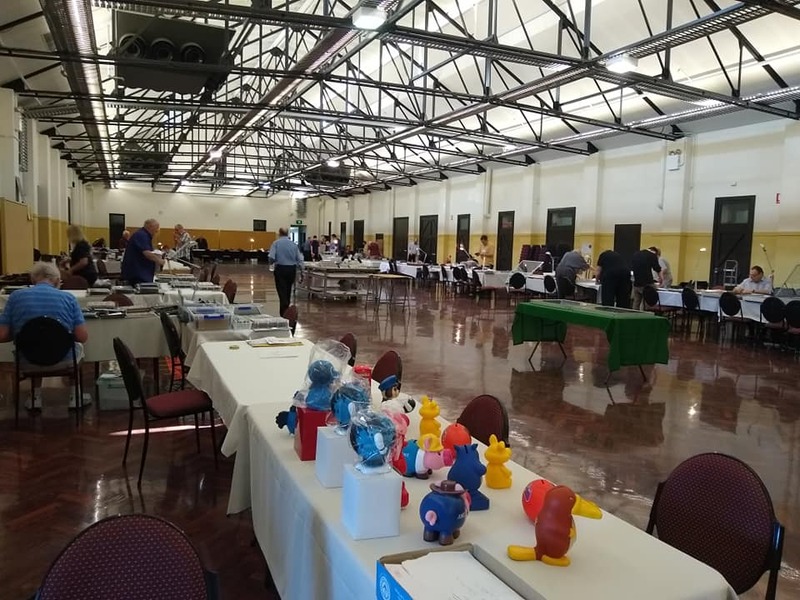 Free entry to the coin expo, free parking at the Torrens Parade Ground, free advice on collecting from members of the Numismatic Society of South Australia and dedicated dealers some of whom have travelled interstate. 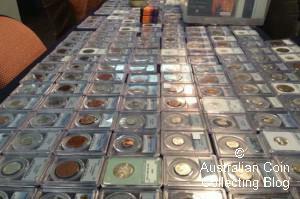 Free appraisals of your coin collections, accumulations or just those few old coins you found lying in the bottom drawer. What’s better than free? We’ll give you cash for your old coins, medals, tokens, banknotes, stamps collectables, gold and silver. Or you could swap your money……..for different money! Yes, sellers will have dollars, doubles (pronounced do-bull) and denarii (just to name a few) for sale. Stop in at the show from 10am-5pm Saturday or Sunday 10am-4pm to pick up a bargain and browse the many collectable items for sale. 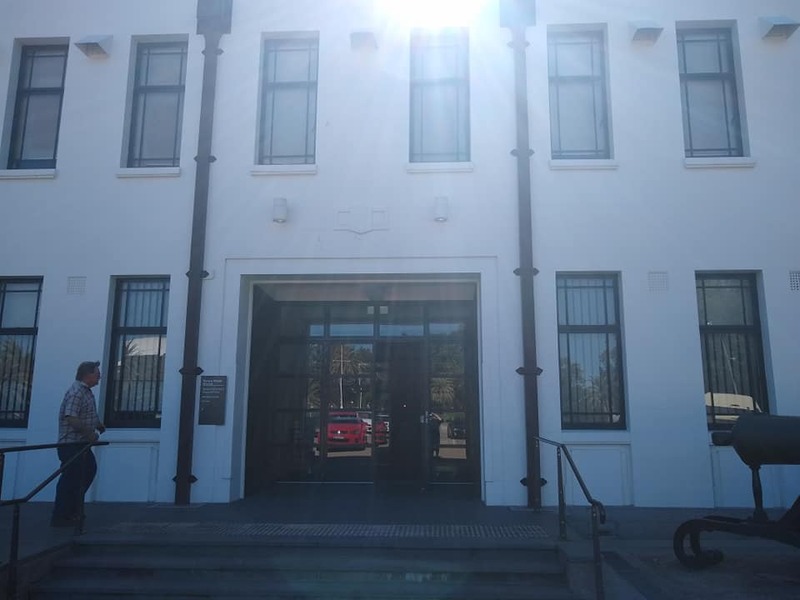 The Torrens Parade Ground (Hall) is located at the corner of Victoria Drive and King William Rd Adelaide City opposite Adelaide Oval. There is plenty of on-site free parking and entry is free. There is easy level access which is wheelchair friendly and assistance dogs welcome. Refreshments will be available. The expo will have show bags, a raffle and prizes. There will also be numismatic displays. Buying and Selling Coins, Medals, Medallions, Tokens, Banknotes, Currency, Old Money, Gold, Silver, Stamps, Militaria and Collectables -it’s all here! The collecting world has been excited to find new one dollar coins in circulation with special marks. Dated 2019 some new $1 coins have been found in change that bear a tiny number 35 and marks (collectors call these privymarks) “A”, “U” or “S” in between the kangaroos on the standard 5 kangaroo design dollar coin. The Royal Australian Mint (RAM) who strike our circulating coinage have announced that these special coins have been marked to celebrate 35 years of the dollar coin and the iconic 5 kangaroo “mob of roos” design by the late Stuart Devlin. A million of each $1 coin have been released into circulation and the Mint are calling out to collectors and treasure hunters to check their change for these specially marked coins. The Australian Dollar Discovery has its own website where you can go and register your special coin find to go into a draw to win prizes. The major prize (8 winners, one per state or territory) is a 1 kilogram pure silver coin, a trip to Canberra to strike your 1kg coin and a VIP tour of the Royal Australian Mint. Included are flights and 2 nights accommodation for 2 adults and 2 children staying at Jamala Wildlife Lodge. Second prize is one of 250 $150 Royal Australian Mint gift vouchers or third prize one of 5,000 special money boxes. What a fantastic idea to promote the coin collecting hobby and get collectors, enthusiasts and the general public looking at their change. Happy Coin Hunting Peoples! 100 years of Remembrance will be commemorated at 11am on the 11th day of the 11th month in 2018. 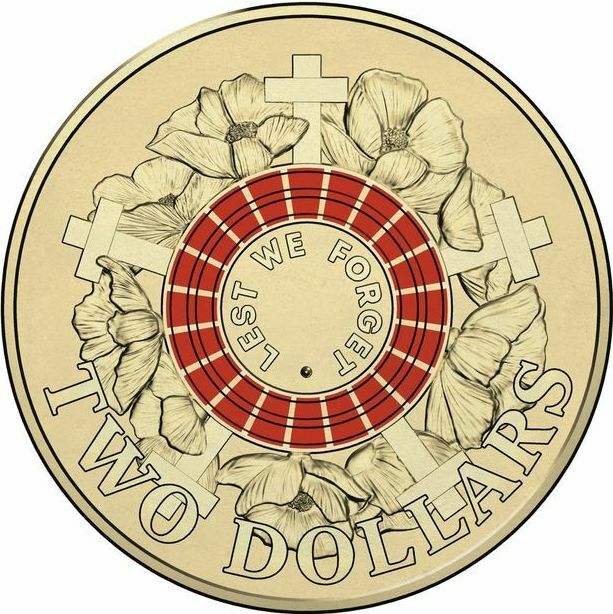 A century to the day since the guns fell silent Australians will see a new coloured $2 coin in circulation as a tangible reminder and legacy of the fight for our nations freedom, then end of WWI and the price that we paid as a nation. 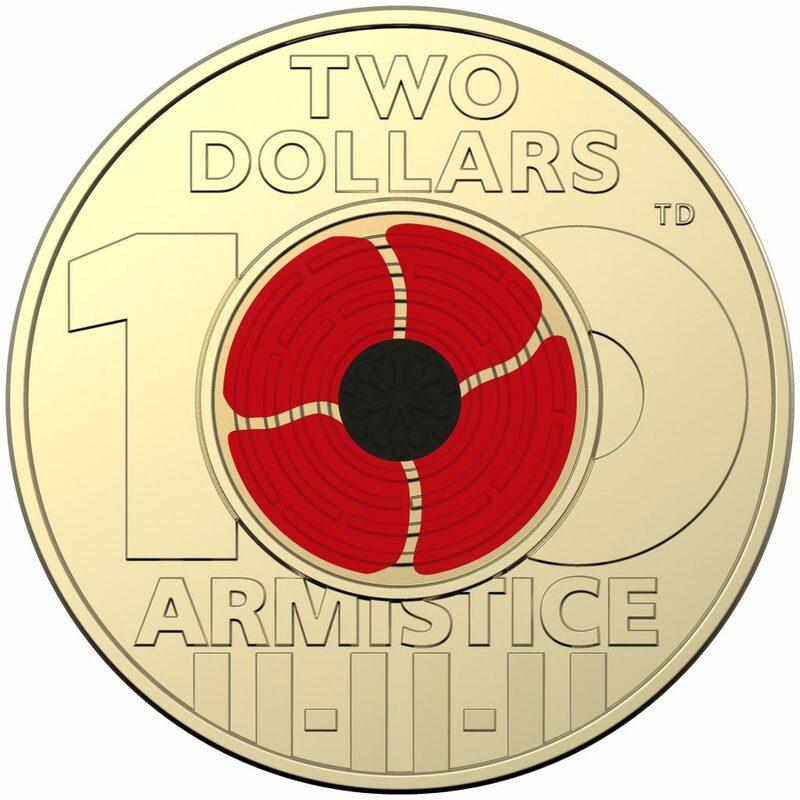 The new $2 coin features a red poppy centre with a large 100 and the date 11.11.11 designed by Tony Dean representing Armistice, the end WWI and the end to The ANZAC Centenary commemorations. Approximately 2 million coins will be released into circulation. Collector coins with a C mintmark are available for $15 in a collector card. The C mintmark mintage is 40,000. 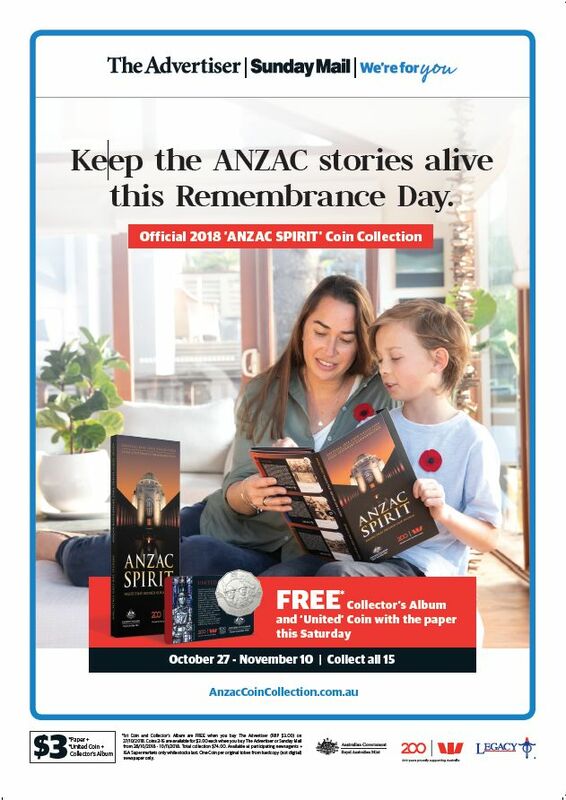 The official 2018 ANZAC Spirit coin collection consists of 15 commemorative 20 and 50 cent coins which are available with the purchase of a News Corp newspaper* -the first coin and a collector folder is free. Subsequent coins cost $3 with a newspaper purchase (all states except WA*). This is the fourth and final newspaper coin collector set coins struck by the Royal Australian Mint and distributed by News Corp. The “ANZAC Spirit -values that defined our nation” is the theme for this years final set in commemorating the ANZAC Centenary 2014-2018. The first coin issued either Saturday or Sunday October 27-28th (depending on where you live) is titled “United”. The final coin issued on November 11th symbolises what we remember on that day. 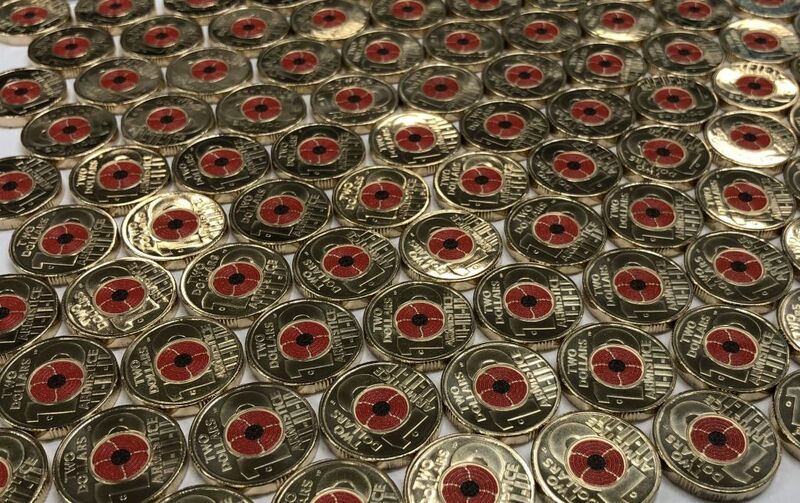 Each coin represents a value held by Australians and those that have served in war, something we as Australians should be proud of and what we should strive to be. These values are drawn from a series of stained glass windows above the Tomb of the Unknown Australian Soldier at the Australian War memorial in Canberra. 1.United (50 cent)-Many different nationalities, colours and creeds were united in uniform and united in cause. This design celebrates the comradeship of war. 2.Resourceful (50 cent) -Celebrates battlefield inventions such as the periscope rifle, the coin design similar to this image at the AWM. 4.Knowledgeable (20 cent) -One outstanding Commander Sir John Monash and his study of tactics, knowledge being the key to success in the battlefield. He coordinated and planned with the hope of solving deadlock on the Western Front. This coin depicting aircraft drops of ammunition which was vital to resupply the troops. 5.Honest (20 cent) -In depicting war it was up to the correspondents and photographers to show the honest truth of war even when it was uncomfortable. This coin design depicts a camera on a tripod with official war photographer Frank Hurley. 6.Disciplined (20 cent) -In battle discipline was crucial and this coin design depicts training with Lewis machine guns in France, see the AWM image. 7.Patriotic (20 cent) -Being proud of this country and loyalty to Britain and the Commonwealth saw willing volunteers march to recruitment offices. 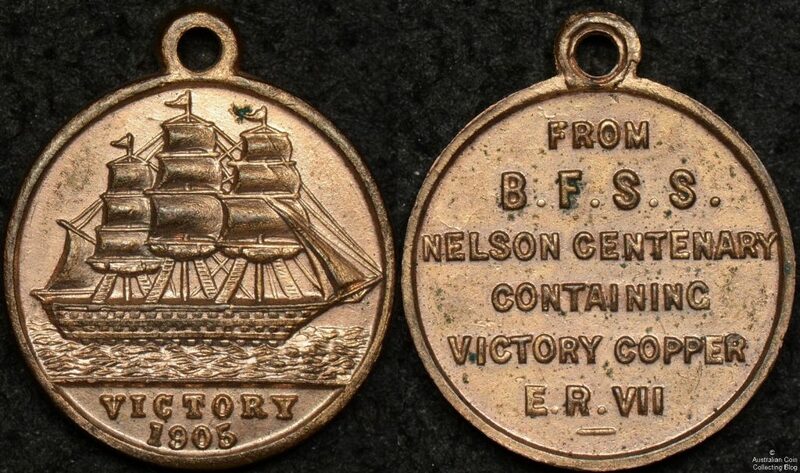 This reverse depicts and image of the Cooee march where 263 men marched from Gilgandra NSW to Sydney in 1915. In total there were 9 recruitment marches known as the snowball marches as more men joined the march each day. 8.Devoted (50 cent) -Australian Army nurses were devoted angels to the war wounded. In a white apron and veil a nurse bandages a wounded soldier in this coin design. 9.Daring (50 cent) -The beginning of the end of the war in the middle east, the Battle of Megiddo where daring mounted light horsemen wielded bayonets as they charged in cavalry style. This coin reverse depicts the dash and daring of this mounted offensive. 10.Brave (20 cent) -The ultimate recognition for bravery in War is being awarded the Victoria Cross medal. One such recipient Corporal “Snowy” Howell is depicted in this coin design shaking hands with King George V.
11.Curious (20 cent) -Australians enlisting in the war were curious and thirsty for adventure. The design seen on this coin is the “Kulgoa” laden with new volunteers eager to see what the military could show them of the world. 12.Enduring (20 cent) -The endurance of those that landed on the shores of Gallipoli on April 25th 1915 is commemorated in this coin. Eight agonising months before their evacuation these troops had to endure the searing heat of summer, bitter cold of winter, outbreaks of disease and a monotonous diet. Following this was a further three years enduring the squalid trenches of the Western Front. 13.Loyal (20 cent) -Loyal volunteers on the home front raised money, packed food and clothing parcels, home comforts and gifts that were sent abroad to bring relief and a sense of home to soldiers. 14.Independent (20 cent) -This coin depicts an Australian Flying Corps (AFC) pilot in front of his single seater aircraft. These AFC squadrons were the first to serve independently from Britain and Australian airmen became skilled at working self-sufficiently. 15.Decisive (20 cent) -Tough hard decisions leading through the chaos of war saw the Armistice signed at 11am on November 11 1918 (11.11.11). The elation can be seen in the coin design in this decisive moment, the end of the war. * See the ANZAC Coin Collection website for more details. 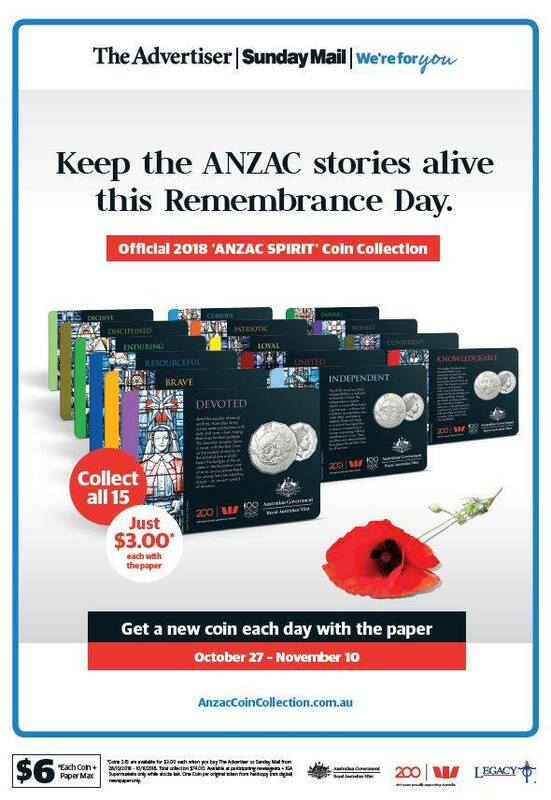 Each coin is available to collect from October 27 – November 10, 2018 (VIC, SA, NT, TAS) and from October 28 – November 11, 2018 (NSW and QLD) for only $3.00 each with original hardcopy token (not digital) from The Daily Telegraph/The Sunday Telegraph (NSW), Herald Sun/Sunday Herald Sun (VIC), The Courier-Mail/The Sunday Mail (QLD), The Advertiser/Sunday Mail (SA), NT News/Sunday Territorian (NT), Mercury/ Sunday Tasmanian (TAS), The Cairns Post (QLD), Townsville Bulletin (QLD), Gold Coast Bulletin (QLD), Geelong Advertiser (VIC), The Toowoomba Chronicle (QLD), Sunshine Coast Daily (QLD), The Morning Bulletin (Rockhampton, QLD), The Northern Star (Lismore, NSW), NewsMail (Bundaberg, QLD), The Daily Mercury (Mackay, QLD), The Queensland Times (Ipswich, QLD), Fraser Coast Chronicle (QLD), The Observer (Gladstone, QLD), The Daily Examiner (Grafton/Clarence Valley, NSW ), The Gympie Times (QLD), Warwick Daily News (QLD). Strictly while stocks last. 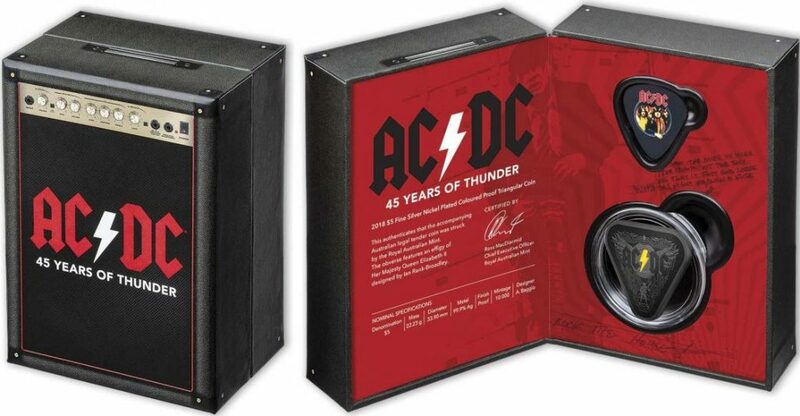 45 Years of Thunder, collector coins commemorating AC/DC have been released with a bang. The phones are ringing hot at coin shops around the country from collectors trying to source these new release Australian coins. The Royal Australian Mint (RAM) has struck two special coins, a coloured uncirculated 50c and a triangular $5 silver plated nickel proof coin. The triangular shape of the $5 coin resembles a guitar pick and the box also includes a guitar pick housed in amplifier shaped packaging. The nickel plated surfaces of this fine silver proof give the coin a dark appearance with a yellow bolt of lightning. Limited to just 10,000 coins the Royal Australian Mint limited sales to 3 coins per customer but this issue was quick to sell out at issue price of $130. These coins are currently selling around $200. 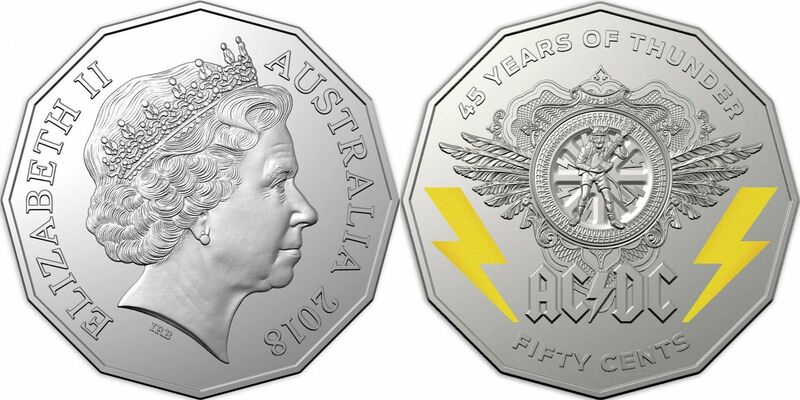 The 50 cent with two yellow coloured bolts of lightning also celebrates 45 years of AC/DC. Issued for $15 this coin is currently selling for upwards of $60. Also initially limited to a purchase of three coins before a fast sellout the RAM knew this coin would be highly sought for another special reason. Partnering with Questacon and using a Tesla coil in the Caged Lightning exhibition just ten of the 30,000 50c pieces issued were “Thunderstruck” with 3,500,000 volts of lightning. These coins are identified by unique frosting on the AC/DC logo and were randomly distributed by the Mint. Did you receive a high voltage coin? Let us know! We’ve been collecting and selling coins for more than 15 years and writing about coins on this blog for more than 10. In that time we’ve seen new collectors make the same few mistakes time and time again. So, what are the top 4 mistakes that new coin collectors make? So many new collectors see their collections as an ‘investment’. We can assure you now it’s not. If you get into the hobby thinking you’re going to make a bomb all you’re going to do is lose money. There’s people around who know MUCH more than you, have been doing this for longer than you, and they see a new ‘coin investor’ as an easy mark and they’ll do their level best to teach you an expensive lesson. And once that money is lost many collectors get dis-heartened and leave the hobby as quickly as they entered. Collect what you love, educate yourself, appreciate your collection for what it is. In time you may become knowledgeable enough to recognise a bargain or an under-graded item when you see it and make a small profit from it. See a news article about $2 coins? Gotta buy those as an ‘investment’ for my grand-kids. See a video about the year 2000 $1/10c mule being worth $2000 or more and see one for sale for $1000 and snap it up thinking you’ve got a bargain? Or perhaps there’s an ‘All Australian’ grading company and the ‘herd mentality’ says that must be a good thing. So you get all your coins graded by a fly by night company that has little clue what they are doing and even encases your coins in slabs that damage the coins themselves. Don’t get caught up in the hype. Think about what you’re doing, sleep on it, take a sceptical view and don’t commit unless you’re 100% sure. Coin collecting is about knowledge and education, not following the masses. We see this all the time. New collectors that have a hoard of NCLT, coins, and banknotes 6-12 months into their collecting journey. There’s no theme to the collection, no consistency of grades, no rhyme or reason to why a certain Royal Australian Mint release was bought and another wasn’t. New collectors have an almost feverish need to add items to their collections and see it grow. Sites like eBay, and the rise of buying and selling on social media have only served to enable that sort of behaviour. The end result is a pile of items the collector loses interest in and has to dispose of, usually at a great loss which is always a dis-heartening exercise. Our tip to be taken from this? You’re better off having one of two well considered purchases a year netting you items you love and value than 100 purchases of rubbish that you don’t even remember buying. If a collector is buying individual coins or banknotes rather than mint issues then that collector MUST be able to grade. New collectors often have little idea how grade effects the value and demand for a coin or banknote. They rely too heavily on the grade assigned to an item by the dealer or the third party that has graded it. Yes, we admit that if an item is graded by a reputable third party (like PCGS or NGC) then a collector can have more assurance in the assigned grade. But even then, if you’re spending your own money on a hobby do you want to put ALL your faith in someone else? We certainly don’t. So, learn to grade, look at coins in hand, look at third party graded coins and try to understand why those coins or notes have been assigned their grade. And don’t think you can learn to grade by looking at images on social media or eBay. You can’t, and those platforms are full of ‘keyboard warriors’ who have held very few coins in hand but somehow seem to be able to assign split grades to a coin based on fuzzy images. If you’re a new collector and you can avoid these 4 mistakes you’re well on the way to having a hobby that coin last you a life time! The Governor-General is Australia’s representative for Queen Elizabeth II and this position is currently held by Sir Peter Cosgrove*. Today the Governor-General unveiled a new dollar coin, the first to bear the official 2019 Jody Clark portrait of the Queen. The new effigy of the Queen will feature on new Australian coins from 2019 including those in circulation. This new dollar coin released today has the Ian Rank-Broadley effigy of the Queen on the reverse celebrating this portrait used from 1998 to 2019, the obverse reveals the new Jody Clark effigy -the sixth portrait. This particular coin is a collector release not for circulation, no doubt it would be confusing to some if received in change but definitely a winner to call heads in a coin flip. 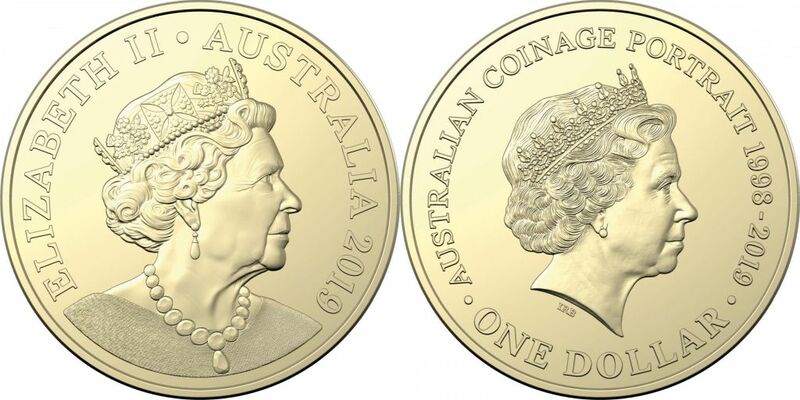 Australia’s new effigy of the Queen designed by Mr Jody Clark is a modified version of that used on UK coinage since 2015. To be used in all countries of the Commonwealth this portrait includes Her Majesty’s shoulders and features the Victorian coronation necklace. “The Sixth Effigy” coin is struck by the Royal Australian Mint in limited numbers, 30,000 in uncirculated aluminium bronze, and 5,000 in fine silver proof. The evolving effigy of Queen Elizabeth II on Australian Coins from left Gillick, Machin, Maklouf, Gottwald, Rank-Broadley and the new Clark design. *His Excellency General the Honourable Sir Peter John Cosgrove, Principal Knight and Chancellor of the Order of Australia, Military Cross, Governor-General of the Commonwealth of Australia.